What does it actually feel like to be growing, struggling, and learning on a mystical path? In this remarkable collection of new poetry from D. Patrick Miller, a leading writer on A Course in Miracles, the reader is taken into some of the deeper feelings and subtler thoughts of the mystical journey. "My hope in sharing these poems is that other Course students, and indeed any seeker on a mystical path, will recognize echoes of their own experience and thus be enriched by a greater understanding of what’s going on in their spiritual life. An inner voice of instinctive and loving wisdom is accessible to anyone, regardless of how you name it. 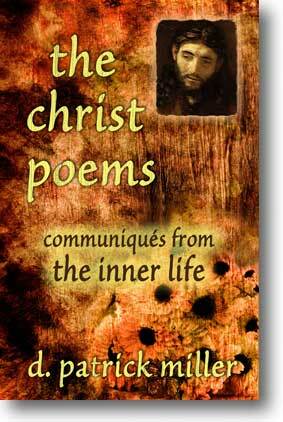 May this little book help it be heard more clearly." Read some sample poems below. out there in the world, never wishing us well. and be reunited within the love of God. and understand how we've refused joy. no one likes to see their own face on their suffering. to see that happiness is so close; so close! so that we can all go out and have a drink. heartily suggesting that I get in on the joke. and the flimsy, gossamer veils of various elusive futures…. and these poems, which I'm not sure I authored anyway. beatifically, knowing none of it has any resale value. that arises from accepting my absurdity. that stills panic and quiets despair. for peace, judging us with an infinite reservoir of compassion. while I was fooling around with dying. 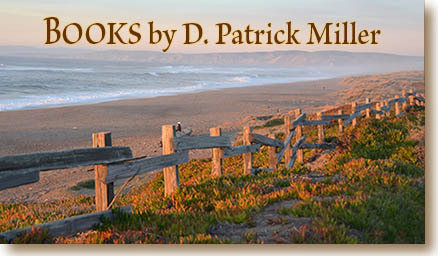 Author D. Patrick Miller has been widely published as a poet in periodicals and anthologies. He is the author of one previous poetry collection, Instructions of the Spirit, and the e-book "How to Write a Good Poem: Three Essential Elements."